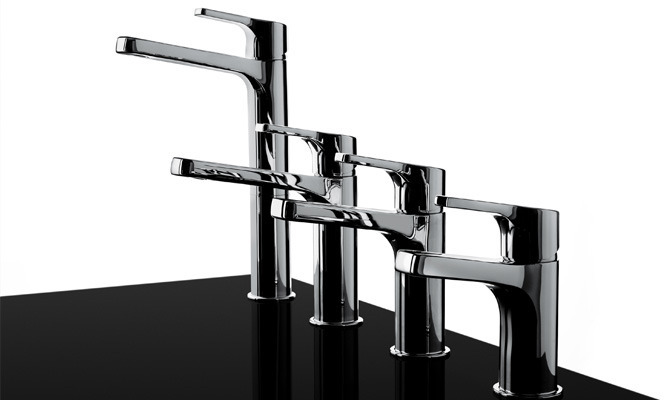 The Handy 42 collection of single-control mixer taps has a simple, versatile and geometric design that adapts to most environments and bathroom furnishing choices. 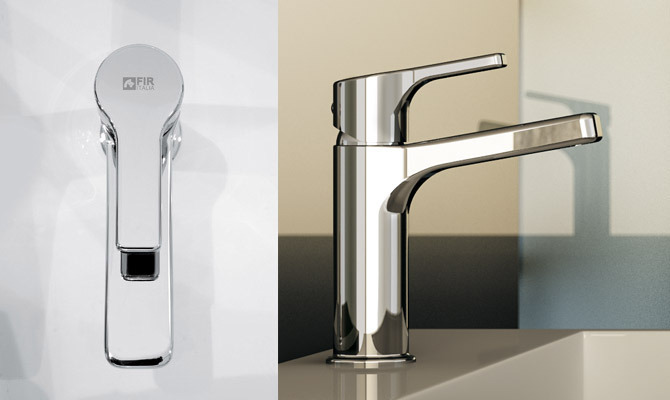 The body of the Handy 42 tap is cylindrical, the spout square and the handle and lever slightly raised. The concealed jet-breaker is consistent with the clean lines, while the compactness and simplicity of the lever ensures that it is extremely easy to use. Handy 42 offers four different sizes of wall-mounted taps for the wash basin area, with or without a click clack, which adapt to various installation requirements: directly to the basin, deck-mounted, deck-mounted for washbowl. Wall-mounted water spout 3/4'', center distance 180 mm long, complete length 200 mm.